CWB Chicago: Roscoe Village: Minutes after praying on restaurant patio, man robs Chase Bank — "Tell the police Rico did it!" Roscoe Village: Minutes after praying on restaurant patio, man robs Chase Bank — "Tell the police Rico did it!" Police said that around 8:50 a.m., a restaurant worker in the 3300 block of North Hoyne reported seeing a man praying on the eatery’s outdoor patio. The man then left the patio area, leaving a prop skull and some personal items behind. About twenty minutes later, cops responded to a hold-up alarm at Chase Bank, 3531 North Western, and learned that the branch had just been robbed by a man who matched the description of the restaurant patio suspect. 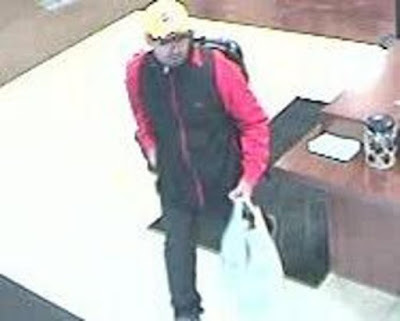 Police said the man entered the bank and gave the teller a note demanding $10,000. “Tell the police Rico did it,” the man said. 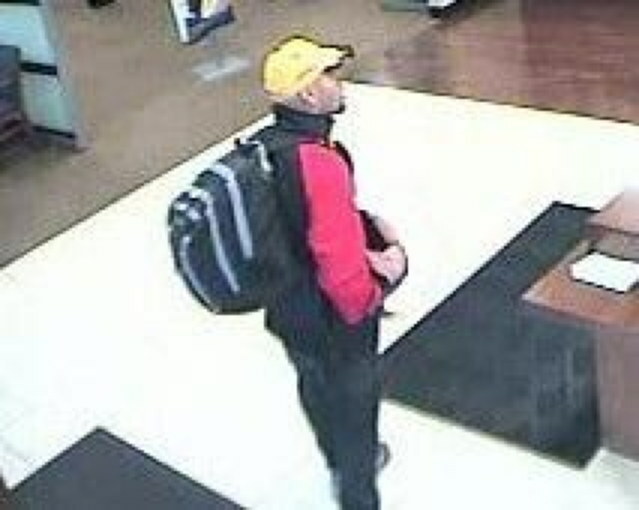 He then left the bank with cash stuffed into a shopping bag, according to police. Officers searched the area for the offender, but he remained on the loose at midday. He is described as a Hispanic man between 25- and 35-years-old who stands 5’9” to 5’11” tall and has a mustache or goatee. 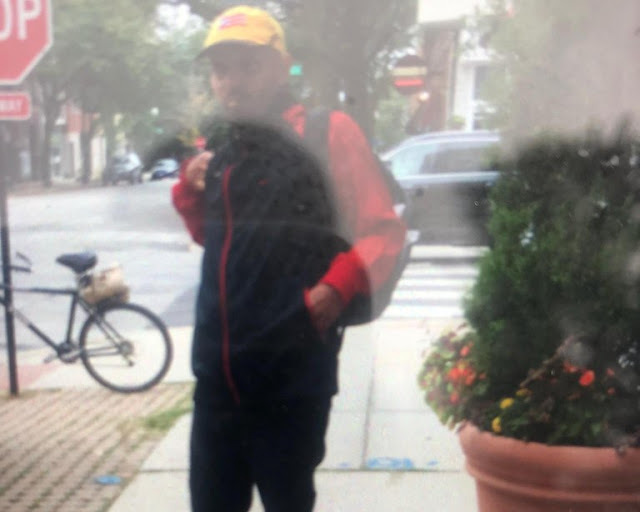 He wore a yellow hat with a Puerto Rican flag on the front and was last seen riding a black mountain bike southbound on Western. A police officer on scene said that a bank worker estimated $210,000 had been taken in the hold-up, but the accuracy of the estimate could not be immediately verified.